The holidays were supposed to be a time of goodwill, celebration, and community. You couldn’t tell it from the glares going around the table as Mayor Baylor talked. Earlier, the leader of our little town had the group eating out of his hand. Then all hell broke loose. Focusing on the uproar going on at the Business-to-Business monthly meeting, I wondered if the shop owners gathered around the mismatched tables had even seen the calendar. As South Cove’s council liaison, I volunteered my shop each month for the meeting. I’m Jill Gardner, owner of Coffee, Books, and More, and president of the I-Hate-Mayor-Baylor Club. A red-faced Bill Simmons, chair of the business council and owner of South Cove Bed-and-Breakfast, stood at the front of the table, trying to get the group to quiet down. Aunt Jackie issued a shrill, earsplitting whistle, two-finger variety. My aunt could make me smile even in the worst situations. She’d been a rock the last year during all the craziness that had been my life. Now I didn’t know what I’d do without her help with Coffee, Books, and More. Or without seeing her on a daily basis. The room finally quieted. I’d been the city council liaison with the business community in our little coastal California tourist town for the last five years. I’d never heard this kind of uproar over a mayor’s mandate before. Maybe the Honorable Mayor Baylor was losing a bit of his power over the group. “Look, I know it’s a bad time for many of us to take on a charity project, but think of it this way, you’ll have an extra pair of hands for the season.” Bill pulled out what he’d thought would be his trump card. “I don’t understand what you’re all so upset about. I got you free help for the busiest season of the year.” Mayor Baylor glared at me, like their reaction was my fault. “These people want to work. We need to be charitable in our attitude.” This time, his scowl was full-on directed at me. I turned my head so no one would see my smile widen. As one of the local media, Darla’s nose for rumors was spot-on. Ted Hendricks, program director for Bakerstown’s welfare-to-work program, Work Today, had come to our tourist town of South Cove with an offer. Ten participants would work for eight weeks with a local business in an intern capacity. South Cove was their last chance. The mayor’s gaze shifted down the table, landing on Josh Thomas, a strong Mayor Baylor supporter. Except even I could see that His Honor wasn’t winning any points with his friend today. “Delinquents. You want me to let a delinquent run wild in my store. Talk to my customers and probably scope out my merchandise so they can rob me blind when I turn my back?” Josh owned Antiques by Thomas, the most recent business to open its doors on Main Street. Today, he pounded a chubby finger on the table. “Of course, you’d have a problem with this. You don’t even know that they are kids, or if they had trouble with the law. Just because someone is down on their luck doesn’t mean they are a bad person,” Sadie Michaels shot back. Sadie, owner of Pies on the Fly, was my main supplier of desserts for the coffee shop. And a strong advocate for the underdog in any fight. I jumped into the fray. “We only need three more host businesses. We’ve already had seven businesses volunteer. The mayor’s office is even participating.” My friend Amy, who did most of the clerical work for the city as well as served at the city planner, was ecstatic to have a little help, even if it was only for a few hours a week. Josh peered up at my aunt and I swear I saw his heart melting, just like the big green monster in the Christmas story. “Fine, I’ll take one.” He sounded like he was agreeing to foster a shelter animal, rather than a person. Darla waved her hand. “I’ve got plenty of work at the winery. But let’s try to match me with someone who doesn’t have alcohol issues.” I wrote her name down. I didn’t even care if she was taking on an intern for news fodder, which I suspected. Now I just had to clear the caveat with Ted Hendricks, the program director. I searched the faces of the group gathered around the table, drinking coffee and, except for a few who had already volunteered, not meeting my eyes. I needed one more placement. Ted would be here in less than thirty minutes to finalize the plans. Sadie ran Pies on the Fly out of a remodeled garage behind her house. Calling her business a bakery was a little generous. 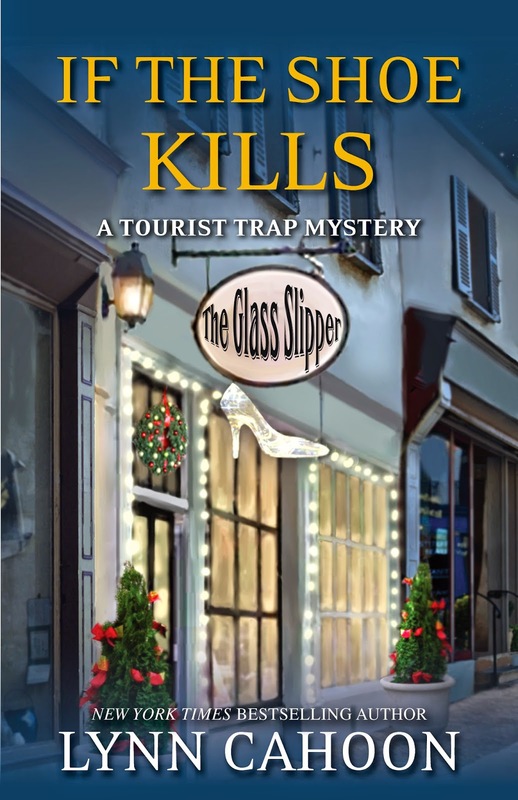 Marie Jones, the owner of The Glass Slipper, had her head down, trying to curl up in her seat, apparently hoping I wouldn’t see her. I could even see her lips moving in some sort of chant. I watched her closely, wondering if she was a fan of the Serenity Prayer, the favorite of alcoholics everywhere. Finally she glanced up, maybe feeling the weight of the entire table as they turned their attention to her. “Could you take an intern?” I liked the term that Ted had used to describe his charges, not typical work-study, but not helper, either. And if they weren’t technically interns, no one cared. As long as there wasn’t trouble. “I bet the intern could help you with your classes. Maybe helping slower students or bringing in supplies, or even setting up the room each day.” My voice sounded excessively chipper, like I was a game show host, describing what was behind door number two if Marie chose to accept our offer. 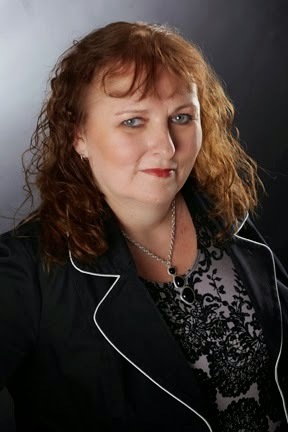 New York Times and USA Today best-selling author, Lynn Cahoon is an Idaho native. If you'd visit the town where she grew up, you'd understand why her mysteries and romance novels focus around the depth and experience of small town life. Currently, she's living in a small historic town on the banks of the Mississippi river where her imagination tends to wander. She lives with her husband and four fur babies. When posting a review, I don't usually add a star rating. That is something I do as part of cross-posting on Goodreads and Amazon. If you like stars, then all reviews I post would be at least 3 stars or above. Meaning, I enjoyed the book. Lynn (Ellesea Loves Reading) has read 1 book toward her goal of 50 books. Lynn (Ellesea Loves Reading) has read 0 books toward her goal of 75 books. Lynn (Ellesea Loves Reading) has read 0 books toward her goal of 100 books. Lynn (Ellesea Loves Reading) has read 0 books toward her goal of 120 books. Lynn has read 0 books toward her goal of 150 books. Lynn has read 60 books toward her goal of 100 books.